I’m pleased to be a stop on THE REARRANGED LIFE Blog Tour! 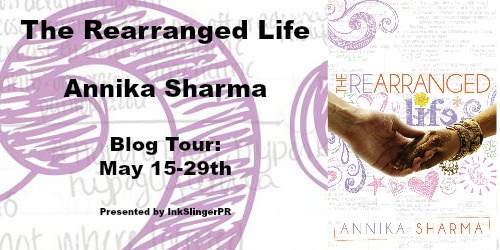 I had the pleasure of reading an advanced copy of Annika Sharma’s beautiful debut and now I’m thrilled to post a my review for THE REARRANGED LIFE for Annika’s blog tour! 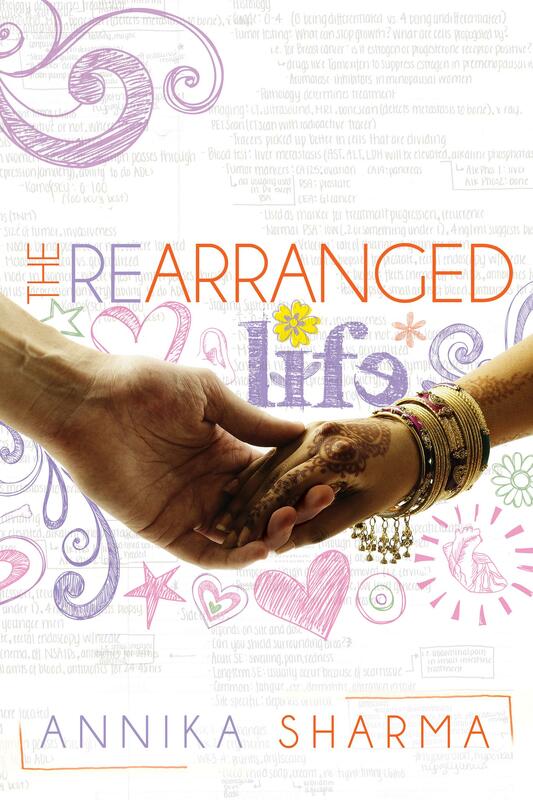 THE REARRANGED LIFE is a poignant tale of a young Indian-American woman, proud of her Indian heritage and traditions, yet ready to embrace the American side of herself too. When the two cultures clash, Nithya is forced to make a decision that could potentially ruin the close relationship she has with her parents. 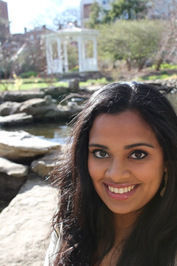 Nithya, an intelligent, decisive college senior is ready to take the next step in her college career: med school. But, she encounters some road bumps along the way. Specifically, when she meets the handsome James, an American. Nithya isn’t supposed to fall for James. Her whole life, she’s never done anything against her parents wishes, and they wish for her to be with the nice Indian boy, Nishanth…and he is nice. Ms. Sharma does a fabulous job of showing both of Nithya’s choices, which are equally wonderful. Nithya is drawn to both guys and each of them have endearing qualities. As I read, my heart hurt for Nithya and her suitors, because I knew she could be happy with either of them. I liked both boys and didn’t want to see either one get hurt. But, like real life, choices aren’t easy and someone will be the inevitable looser. Ms. Sharma portray’s Nithya’s struggle beautifully. If she chooses James, Nishanth will be hurt, and she runs the risk of disgracing her conservative Indian family. If she chooses Nishanth, James gets hurt. And ultimately, Nithya, our lovely protagonist, will experience a degree of loss and hurt in making her decision as well. THE REARRANGED LIFE is a quiet story that gets under your skin. It has characters you’ll connect with on a deeper level. You’ll experience their joy and feel their pain as if it were your own. This is a story that will stay with you long after you finish reading. I’m looking forward to seeing what Ms. Sharma has in store next! Annika Sharma was born in New Delhi and brought up in the United States, where she moved with her parents as a baby. A proud alum, she graduated from Penn State University with dual degrees in Biobehavioral Health and Neuro-Psychology, and minors in Biology and Human Development and Family Studies. She received her Master’s degree in Early Childhood Special Education before pursuing her dreams of becoming a writer, landing her agent Stacey Donaghy of Donaghy Literary Group while daylighting as a preschool teacher. The Rearranged Life, her first novel, was written in the month before graduate school. Annika, a Gryffindor and Scorpio, spends much of her time dreaming of adventure, working on her next book, going on Starbucks runs with family and friends, shopping online and watching superhero movies. The Rearranged Life will hit shelves on May 15th, 2015, published by Curiosity Quills Press.